Whether draped across your bed or sofa, our generously sized woven throw waits to wrap you in Peabody comfort. 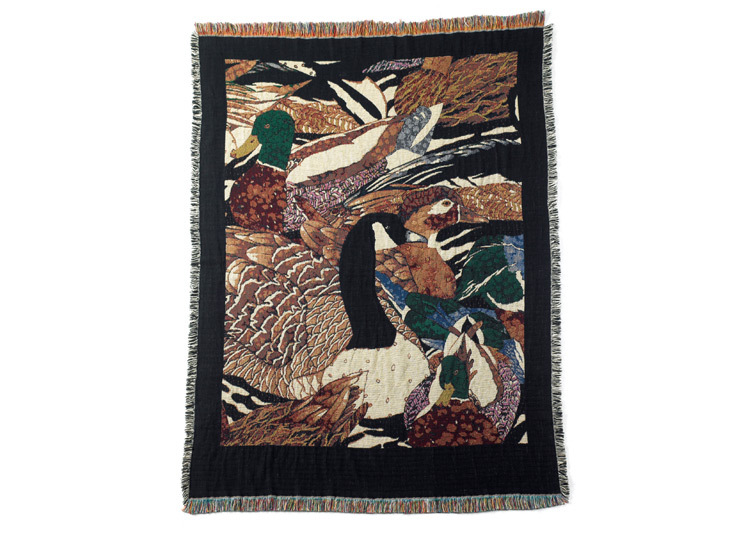 The exclusive duck pattern and rich color palette accent any décor. 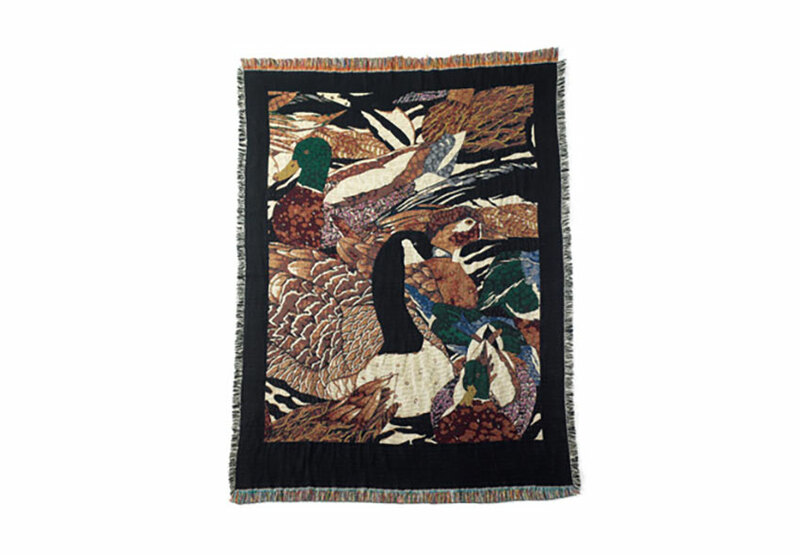 Made from 100% cotton, the machine-washable throw measures 54” x 70”.